As a Crowdology member we give you the chance to get paid to take surveys but as an added extra we also run regular sweepstakes. You can win a range of prizes from cash and vouchers to the latest gadgets like an Apple Watch. Here at Crowdology, everyone’s a winner, since we pay cash for every survey! interested? Sign-up now! For Clare in Bridport, a little extra means fun times with friends and family – thanks to Crowdology, she can now enjoy these in striking 4K detail with her Xbox One X bundle. Whether you’re welcoming in the new year with open arms or still hibernating with leftover Quality Street, happy 2018 from everyone at Crowdology! It may sound like a cliché, but January is still the number one time to make lifestyle changes (just ask the 3,000,000 people who are into week two of Dry January). New home enquiry, job searches and gym memberships all peak at the start of every year. But whilst a lot of us make new year’s resolutions, only 8% of us end up sticking to them. What’s the best way to make changes permanent? Make them small. That’s why committing to a month without something seems manageable, rather than a whole year. We’re all about celebrating small steps at Crowdology, which is why we reward our members for each and every online survey they fill out, whether they only have a few minutes to spare or can set aside an hour to really dig in. This month, we’ve given a little bit extra to Clare, one of our newest members from Bridport. She joined us in December and has already started earning cash online through Crowdology surveys. 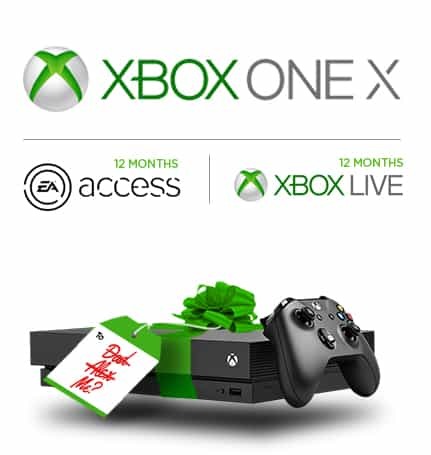 But that’s not all – she also became our monthly winner, receiving an Xbox One X, 12 months Xbox Live Gold and 12 months EA access membership. The Xbox One X is the pinnacle of gaming technology – with 40% more power, it makes for a truly immersive gaming experience, and truly awesome prize to give to one of our community. However, with friends and family visiting for the holidays, the real prize for Clare was being able to share the experience with her nearest and dearest. A far cry from scrabble and trivial pursuit! Joining Crowdology is Clare’s first experience of filling out surveys for cash, made easier by the fact that she could complete them at home on her phone. She told us she finds them easy and straightforward to complete, which is great to hear. As for Clare’s sofa companions, it’s her fiancé and her dog who’ll no doubt be seated alongside her as she rings in the new year with her and new prize, and maybe even a few new surveys. And for everyone else, we hope the small, positive changes you’re making in 2018 help you get a little extra out of life.